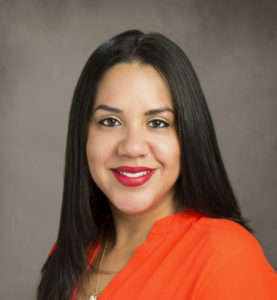 Miguel Lopez Jr. Inc., South Florida’s Leading Asphalt and Concrete Maintenance Firm, has promoted Yahaira Parrales to the newly created position of Chief of Staff. Ms. Parrales has been with the company for 10 years, most recently in the position of executive director responsible for office operations. Miguel Lopez Jr. Asphalt Maintenance was founded in 1989 and has earned a coveted reputation for professionalism, quality and outstanding service. The company is licensed, insured and bonded facilities maintenance and engineering contractor. They are a Federally Certified SBA 8(a) Company, and an FDOT Disadvantaged Business Enterprise (DBE) certified business. Their core competencies include: Asphalt Paving & Patching Services; Pavement Rejuvenation; Seal Coating; Striping; Drainage; Water & Sewer; Site Work; ADA Compliance, and Disaster Recovery and Restoration Services. For more information please visit www.lopezinc.com or call 305-884-0767.